Check back her for exciting announcements and coupon codes!! 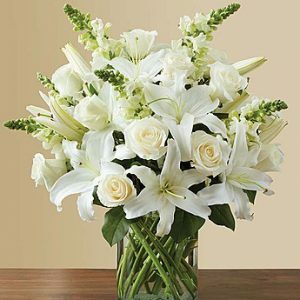 Elegant white flowers help to convey your deepest sympathies with graceful beauty that heals the soul. 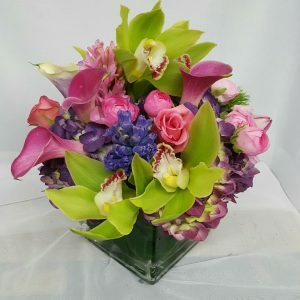 Our lovely cube vase arrangement offers a lasting tribute to friends and family members, crafted from fresh roses, lilies, snapdragons, monte casino and more. 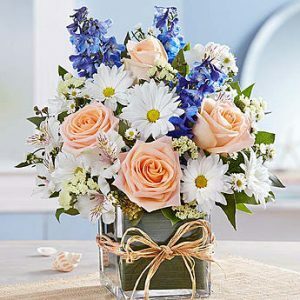 Capture the charm and color of the garden with this beautiful arrangement. 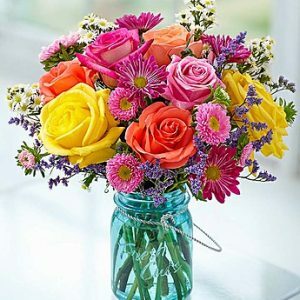 Featuring vibrant roses, daisy poms, asters and more, and hand-designed in a reusable mason jar, it’s a gift that delivers endless smiles to all the special people in your life! 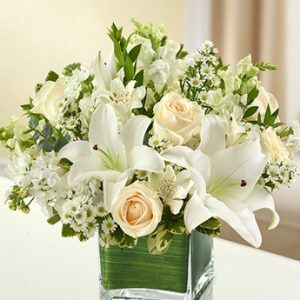 Crisp white flowers have a certain timelessness and elegance... and this luxurious arrangement is no exception! 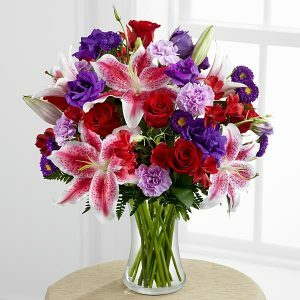 Striking white roses, lilies and snapdragons are hand-gathered by our skilled florists with touches of lush greenery inside a stylish cylinder vase. 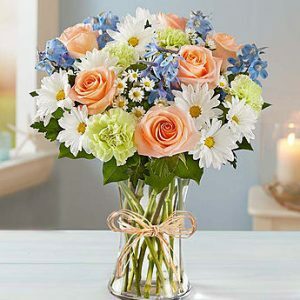 No matter what it is you’re trying to say, we can’t think of a more beautiful gift to say it with. 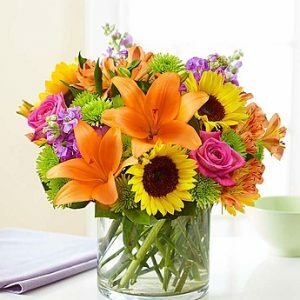 If you can’t be there to give a hug in person, this colorful bouquet is the next best thing! 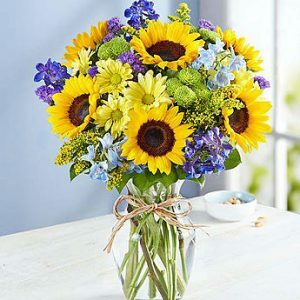 Crafted by our expert florists from the freshest roses, lilies and sunflowers in a classic cylinder vase, its beauty and charm will help you express yourself perfectly, no matter how far apart you are. 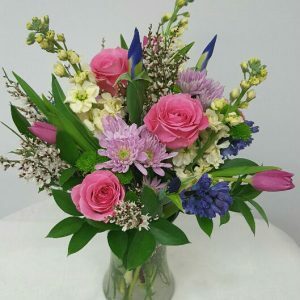 Judy's Village Flowers Inc., located on Foxboro common in Foxboro, Massachusetts was established in September of 1990. 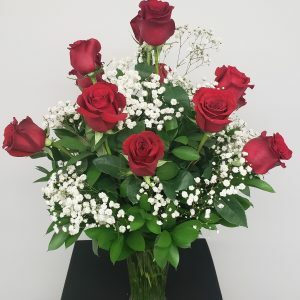 Family owned and operated by Judith Duffy, Judy's Village Flowers continues to provide beautiful flowers and unparalleled service over the last 26 years. Local delivery is available to these cities & towns. 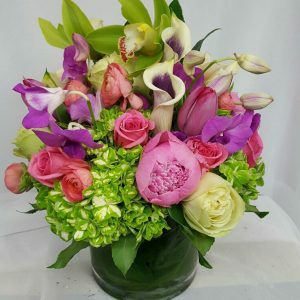 Items not marked local delivery can be delivered nationwide.